The Capital Regional Collaborative (CRC) recently shared stories of regional collaboration where projects, programs and initiatives are happening across sectors in order to amplify impact in our community! For those who aren’t familiar – the Capital Region Collaborative is a collaborative effort between government, business, and the community to identify and implement regional priorities (read our earlier post about the CRC Priority Areas) that will enhance the quality of life in the Richmond Region. The CRC is a joint initiative between the Greater Richmond Chamber of Commerce and Richmond Regional Planning District Commission. Read on for great examples of regional collaboration from local nonprofits! When interviewing for a job, first impressions are key. But for a lot of folks, affording the right interview attire can be a huge barrier. That’s why in 2008 Goodwill and Men’s Warehouse teamed up nationally to provide men with the proper clothing to support them in their job search. The Goodwill and Men’s Warehouse Annual National Suit Drive began when the concern arose that thousands of men across the country are unable to secure employment because they lack the initial, yet vital, step of looking presentable for a job interview. In an effort to address this issue, two unlikely partners (Goodwill, a nonprofit, and Men’s Warehouse, a corporation) teamed up to provide a very specific need to a sector of our population. 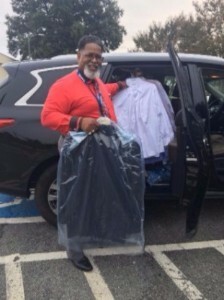 Locally, the Goodwill of Central and Coastal Virginia (GCCVA) and Men’s Warehouse have collected thousands of articles of professional attire. Working closely with the Department of Corrections, Offender Aid and Restoration (OAR), Richmond Justice Center, Morning Star Baptist, and Capital Area Partnership, the initiative has provided thousands of men participating in the Prisoner Re-Entry program with assistance in seeking a job. The initiative receives over 5000 professional pieces annually, which consists of suits, ties, jackets, and pants. Through the Prisoner Re-Entry program, 1095 ex-offenders have been served and 252 have found employment as of August 2016. If you’d like to help in their efforts, you can donate used professional attire to any Goodwill of Central and Coastal Virginia retail stores and donation centers in the area. GCCVA accepts donations year round, and also accepts professional clothing for women. 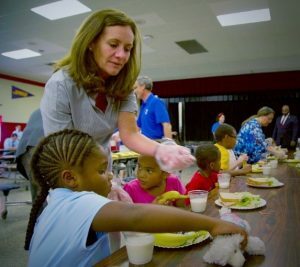 In addition, the Goodwill of Central and Coastal Virginia relies on the philanthropic support of the community and welcomes any financial contributions for the support of programs such as the Prisoner Re-Entry program, or job seeker services through Community Employment Centers which are offered free to the public. To learn more about the Goodwill and Men’s Warehouse Annual National Suit Drive, visit http://goodwillvirginia.org/mens-wearhouse-launches-8th-annual-national-suit-drive/. Junior Achievement of Central Virginia is an organization that provides young people with programs to help prepare them for the real world by showing them how to generate wealth, manage it effectively, how to create jobs in their communities, and apply an entrepreneurial mindset to their workplace. In 2006, the Junior Achievement of Central Virginia began running the JA mobile finance park, which would go to various schools and organizations in the area allowing students to participate in the program. In 2011, with the financial support of Capital One, the mobile finance park was permanently installed in a location on Broad Street. Due to the overall success of the program, a new location was necessary in order to accommodate more students, as well as provide students with a more realistic immersion into the adult world. The strong partnership between Junior Achievement of Central Virginia and Henrico County has allowed the JA finance park to expand to the third floor of the Libbie Mill Library. This new location will allow JA to accommodate more students, and provide them with realistic business settings, and improved technology. Partners for the new Libbie Mill Library location include Henrico County and title sponsors, Dominion Resources, Virginia529, SunTrust Foundation, and Bill and Alice Goodwin. Students increased their scores by 26% in financial behavior from the pre-program survey to the post-program survey. Students increased their academic aspirations by 18% from the pre-program survey to the post program survey. Students who participate in the program exhibited a greater understanding of finances. 95% of all students who attended the site would recommend the program to their peers. The YMCA of Greater Richmond is working with the National YMCA program and other partners, like BELL (Building Educated Leaders for Life), to implement an initiative aimed at closing the achievement gap. The initiative supports academic enrichment programs for children who are at risk of falling behind in school- particularly those in Title I schools. provide health and enrichment programs for children living in low-income communities. Two programs are being implemented in the Richmond Region: (1) Power Scholars Academy, a summer learning loss-prevention program; and (2) an after school Achievement Gap program. Both programs hope to boost academic capacity and reduce risk-taking behaviors. By partnering with local organizations like the CIS of Richmond (Communities is Schools), FeedMore, Henrico County Public Schools, Literacy Lab, and Sandston Rotary Club, the programs of the Greater Richmond YMCA promote the YMCA’s core traditions, while emphasizing academic success. 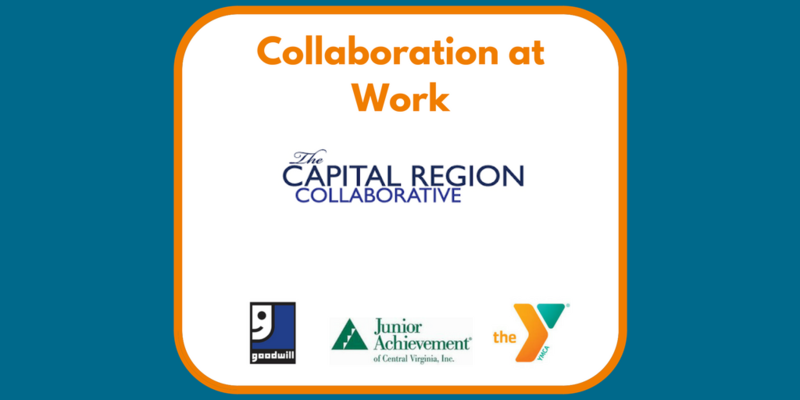 Want to learn more about the Capital Region Collaborative? Save the date for their second annual “Community Update” meeting on March 10th at Reynolds Community College Workforce Development Center at 1651 E Parham Rd, Richmond, VA 23228. Have a collaborative story to share? Email CRC@richmondregional.org and they may feature your organization!